Schauspiel Leipzig has three venues. 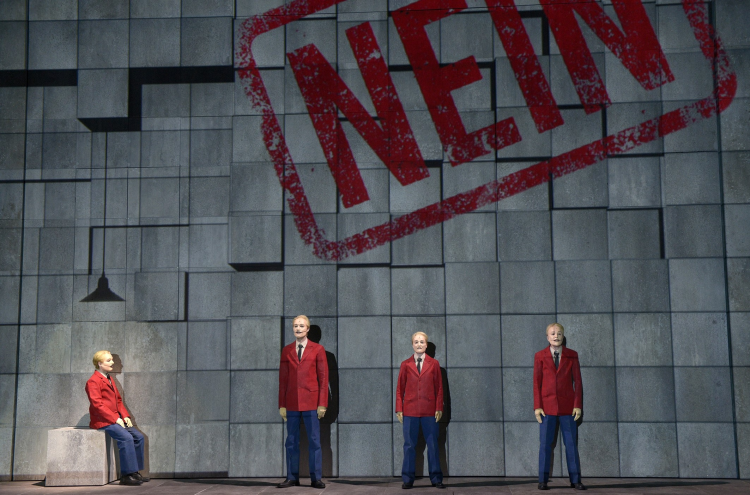 The programmatic work produced at the Schauspielhaus is characterised by its theatrical double projects, where antiquity and present times reflect and encounter each other, as in Die Schutzflehenden / Die Schutzbefohlenen based on Aeschylus and Jelinek or Die Maßnahme / Die Perser based on Brecht/Eisler and Aeschylus. Exploring epochal classics like Horváth, Schiller or Ibsen is an equally important part of the season’s programming as are plays like 89/90, which investigate issues of the most recent part. Claudia Bauer and Philipp Preuss, both directors in residence at Schauspiel Leipzig, inform the theatre’s aesthetic with their artistic signatures. 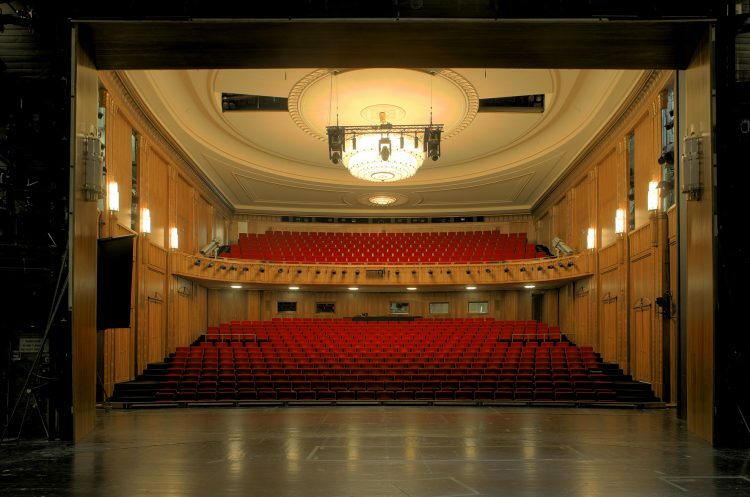 The Schauspiel Leipzig in the Bosestraße, built 1901/02 as private Centraltheater. At the front corner: newly opened Diskothek. Another basic concept of the work of Schauspiel Leipzig is the principle of cooperation with numerous institutions in the city, from the Gewandhaus via Leipzig Ballet/Leipzig Opera, the University of Music and Theatre Leipzig “Felix Mendelssohn Bartholdy”, the Museum der bildenden Künste, Leipzig Zoo to the Department of Theatre Studies at Leipzig University. Since the directorate of Enrico Lübbe, Schauspiel Leipzig earned numerous awards and invitations to renown festivals in Germany and abroad. In 2017, the production 89/90 by Claudia Bauer was invited to the 54th Berliner Theatertreffen. Wolfram Höll earned two times the Mülheimer Dramatikerpreis for the world premieres of his plays at Schauspiel Leipzig (2014 Und dann, 2016 Drei sind wir). In 2015, 2016 and 2017 productions of Schauspiel Leipzig were invited to the Ruhrfestspiele Recklinghausen. 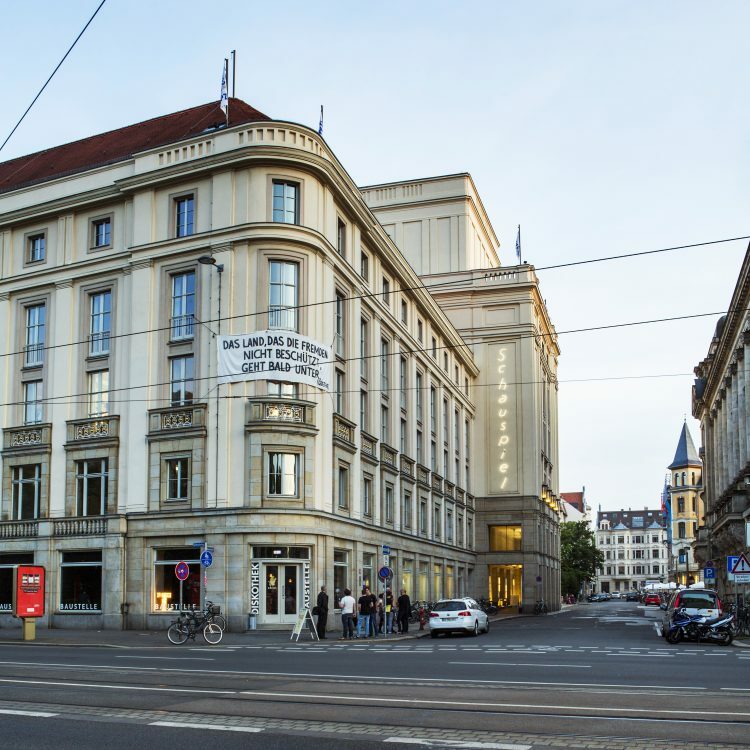 Further invitations were given to Heidelberger Stückemarkt, Autorentheatertage at Deutsches Theater Berlin, to the Festival „radikal jung“ as well as to the Biennale in Venice 2017. Enrico Lübbe was in 2017 awarded with the Martin-Linzer-Theaterpreis by the theatre journal Theater der Zeit for his outstanding artistic ensemble work. Scene from Die Maßnahme / Die Perser directed by Enrico Lübbe, 2017, which will be shown during the IBS symposium.